The company that hiked the price of Daraprim, a drug used to treat AIDS patients, is backing off. 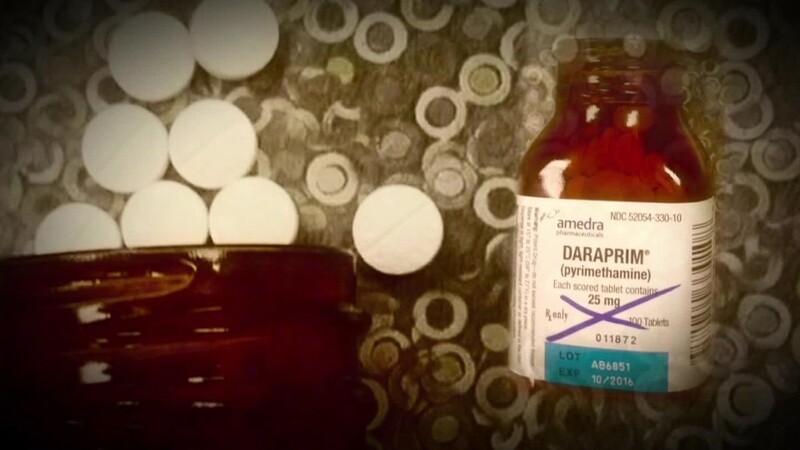 Pharmaceutical company Turing increased the price of a drug called Daraprim from $13.50 to $750 a pill and its CEO, Martin Shkreli, quickly became the focus of public anger. The over 4,000% increase also caught the eye of Hillary Clinton. She tweeted about it Monday, saying she wanted to put an end to drug "price gouging." The Daily Beast declared Shkreli the "most-hated man in America," surpassing the dentist who killed Cecil the Lion. Shkreli says he has heard the outcry. "We've agreed to lower the price of Daraprim to a price that is more affordable," Shkreli said on ABC World News Tonight. He didn't say what that "affordable" price would be, but stressed that the company already gives away the drug for free to about half the patients who use it and that Turing plans to expand its charitable drug program. Related: Is this CEO the new 'most-hated man in America'? Shkreli has been defending himself on Twitter and in numerous TV interviews. "We needed to turn a profit on the drug," Shkreli told Bloomberg, arguing that companies that owned the drug before were giving it away at $13.50. He says it's not just about turning profit. Turing plans to use the money to research a better way to treat diseases. The drug is used by some AIDS and cancer patients. It's been around for decades but Shkreli's company just bought the rights to it in August. The main use of the drug is to treat life-threatening parasitic infections. "They don't deserve a drug that is 70 years old," he said about Daraprim, adding: "I know what we're doing is right." Shkreli is only 32-years-old. He's been called everything from a boy genius to a vulture. "I guess some people think Daraprim access will decline instead of increase. I guarantee better access at lower prices to patients than ever," tweeted Shkreli. Known for being very candid on Twitter -- he tweeted Monday "It seems like the media immediately points a finger at me so I point one back at em, but not the index or pinkie" -- he opted to make his account private on Tuesday night. His outspoken tweets were one of the reasons he was ousted as CEO of his prior company, Retrophin (RTRX).